Remember when we said that babies are very, very delicate? It turns out that your choice of cribs is more important that you think. Studies have shown that some infants have experienced crib related injuries. Just over a year ago, drop-side cribs, or cribs with sides that can be opened outward were banned. This was because of the high number of infant deaths related to injuries caused by this kind of crib. It was particularly dangerous because the drop-side could open accidentally while the baby is left alone in it, and the baby could get caught between the drop-side and the mattress. With this high risk of suffocation and entrapment, the US Consumer Products Safety Commission prohibited the sale and manufacture of drop-side cribs. Now that we have all that unpleasant history behind us, let’s talk about custom-made cribs. If you want to have your crib manufactured and customized according to your wishes, you may always do so. But it’s always a good idea to research every crib possible through going into stores, magazines and catalogues. You never know, you might find that one perfect crib for your baby. But if you really can’t be satisfied by the selections available in the market, you can add your own flare to a crib, in your own design and specs. You can have a trusted craftsman make you one, or if you think your woodcarving skills are good enough. It’s not a bad idea; you’ll end up spending less, and not just that, you can always find solace in the fact that your baby’s bed was a product of your own labor. 1. Know how much space your child will need. And since you’re not likely to make your own crib mattresses, you may size the crib’s interior according to your chosen mattress. There will be a guide for choosing crib mattresses further on. 2. The spaces between crib slats should be just right to keep the baby from sticking his or her head and limbs between them, causing injuries or suffocation. The standard distance is 2 and 3/8 inches. 3. Make sure that the crib’s mattress hanger supports are sturdy and functional. Needless to say, these will help keep the mattress in place while the child is inside. 4. 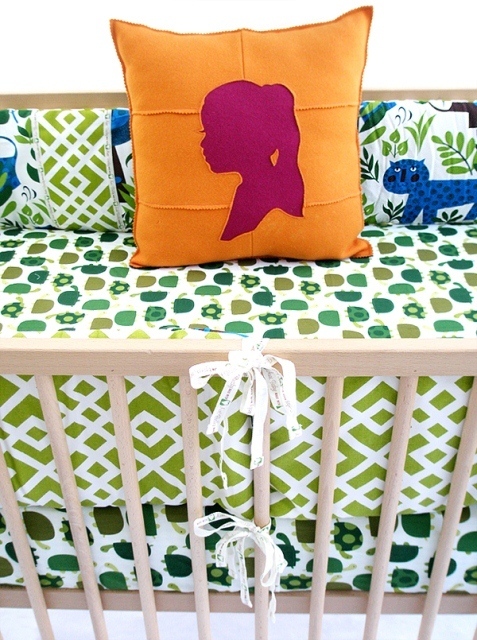 Keep the crib free of decorative cutouts at the headboard or the footboard. They might make your crib look a little bit more adorable, but they are highly unnecessary and can even choke your baby. 5. Smooth out rough and sharp edges. Also, there should be no splits, cracks or similar defects. Your crib is not only to keep your child safe; it’s also there to keep him or her comfortable. After all, a baby’s is very fragile and soft, so it should be in your best interests to give your child a sleeping surface to keep the baby snug and warm. As mentioned above, if you want to build a crib by yourself, you should buy the mattress first. This is because the spec on your custom crib depends on the mattress. See, if the mattress is too big, needless to say it won’t fit inside the interior of the crib. And if it’s too small, or if the crib is built too big around it, it won’t hold the mattress in place. The mattress would fall off or move around inside the crib, putting your child at risk. When selecting a mattress, always try and get a mattress free from synthetic materials that can be hazardous to your baby’s health. They should also prohibit the growth of dust mites and other parasites that could cause complications to the child. For a baby crib mattress that is organic, safe and easy to clean, the Naturepedic No Compromise Organic Cotton Lightweight Baby Crib and Toddler Mattress is perfect. It is made from organic cotton that is grown without artificial growth enhancers or pesticides, keeping this product safe from toxic substances that are dangerous to your baby’s delicate immune system. To go with your baby nursery, a baby changing closet is always a good choice. Here you can stow all those clothes and other essentials to keep your child clean. If you have only one child, you don’t need a baby changer that’s too big. Besides, you only need enough space to be able to put away all your baby clothes. And baby clothes aren’t exactly big. You’ll want your baby changing closet near the crib. That way, you’ll spare yourself the hassle of moving from room to room just to change your baby’s diapers. And since baby changing closets are mostly small, you really won’t have to worry about space. You may also buy crib mattress and sheet sets. These come with different themes to suit you and your baby’s tastes. Be sure to buy a few so you won’t have to worry about running out of sheets when they get stains.